Save baby's skin from irritation and nappy rash with this ointment to help keep skin happy and comfortable. It is hypoallergenic, fragrance free and does not include lanolin, petrolatum, parabens or mineral oil. Directions: Change wet nappy promptly. Clean nappy area, allow to dry. Apply a generous amount of cream with each nappy change and before bedtime. Caution: Avoid contact with eyes. Stop use and ask doctor if rash develops. Keep out of reach of children. If swallowed, get medical help. 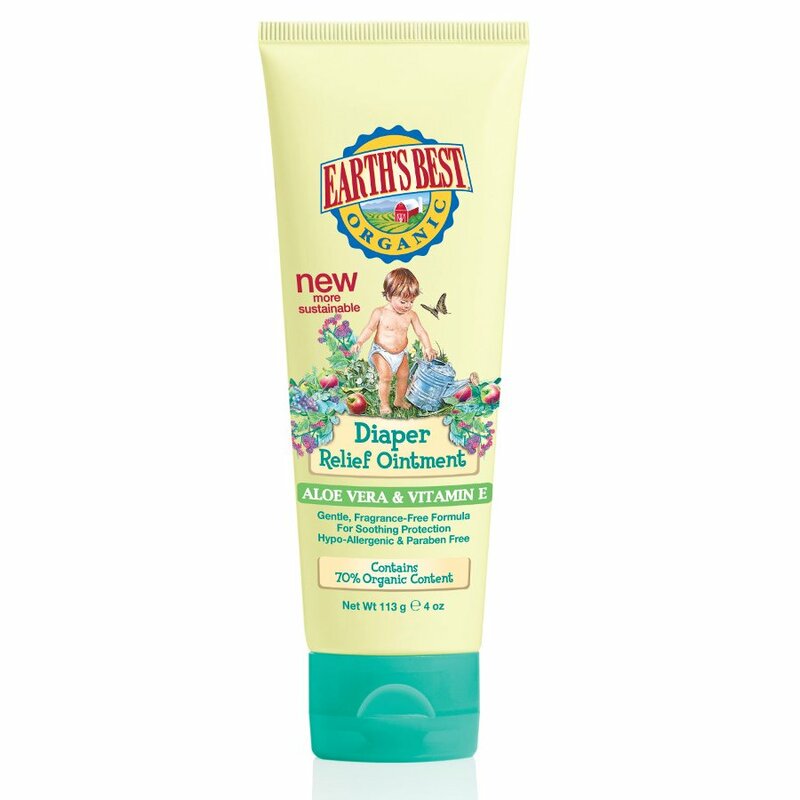 There are currently no questions to display about Earth's Best Diaper Relief Ointment - 113g. Originally founded by Ron Koss and Arnie Koss in 1985, Earth’s Best began by making the most nutritious and wholesome organic baby food that was possible and have since progressed into creating earth-friendly babycare products. They believe that children deserve the purity of nutritious fruits handpicked from organic orchards, fresh vegetables plucked from nature's perfect soil, and recipes made without over-processed or genetically engineered ingredients and body care products made with organic ingredients for infants and toddlers. With Earth's Best, your children get wholesome purity - right from the start.